Publisher: Ex Typographia Barbou, 1788. Paris. 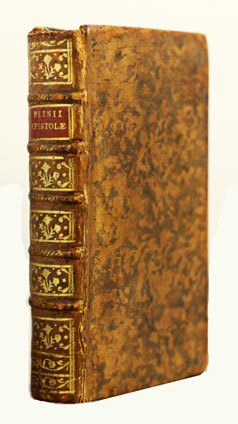 Condition: Hardcover, full leather with gilt on spine still bright and intact. Extremely well-preserved for its age, still tightly bound and possibly unread. 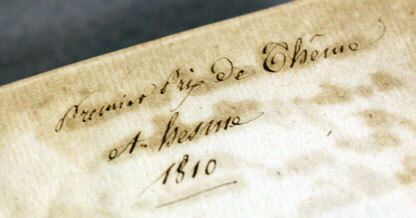 Awarded as a prize in 1810, as the inscription indicates. Note: all text is in Latin. An amazing window into some of the most eventful years of Roman antiquity. 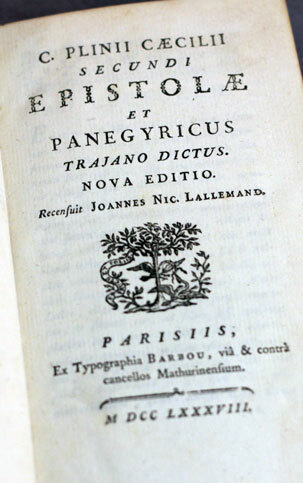 The Epistulae are a series of personal missives by Pliny the Younger directed to his friends and associates. These letters are a unique testimony of Roman administrative history and everyday life in the 1st century. 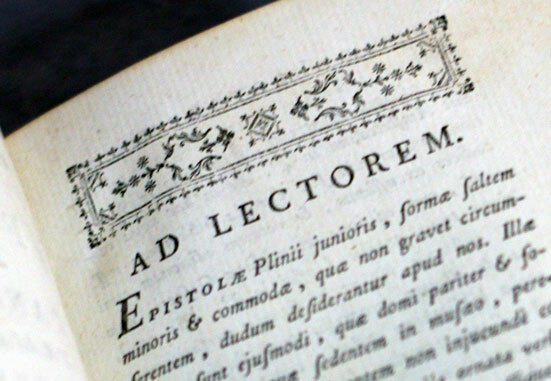 The style is very different from that in the Panegyricus, and some commentators maintain that Pliny initiated a new genre: the letter written for publication. This genre offers a different type of record than the more usual history; one that dispenses with objectivity but is no less valuable for it. 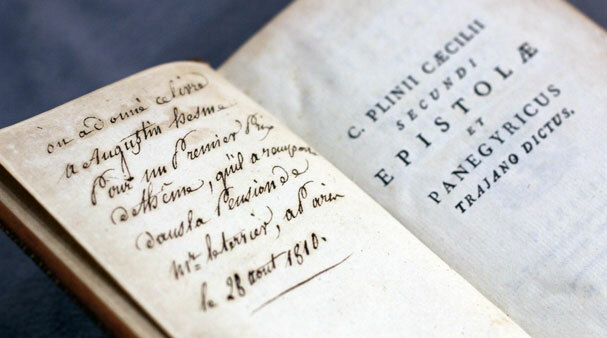 Especially noteworthy among the letters are two in which he describes the eruption of Mount Vesuvius in August 79 during which his uncle Pliny the Elder died (Epistulae VI.16, VI.20), and one in which he asks the Emperor for instructions regarding official policy concerning Christians (Epistulae X.96). The Epistulae are usually treated as two halves: those in Books 1 to 9, which Pliny prepared for publication, and those in Book 10, all of which were written to or by the Emperor Trajan during Pliny’s governorship of Bithynia-Pontus. This final book was, significantly, not intended for publication. Other major literary figures of the late 1st century AD appear in the collection as friends or acquaintances of Pliny’s, e. g. the poet Martial, the historian Tacitus and the biographer Suetonius. 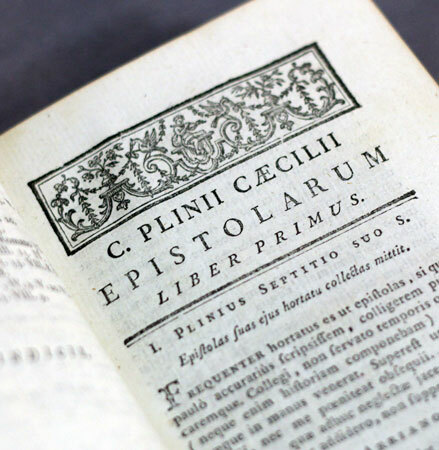 However, arguably the most famous literary figure to appear in Pliny’s letters is his uncle. His nephew provides details of how his uncle worked tirelessly to finish his magnum opus, the Historia Naturalis (Natural History). Gaius Plinius Caecilius Secundus, born Gaius Caecilius or Gaius Caecilius Cilo (61 – ca. 112), better known as Pliny the Younger, was a lawyer, author, and magistrate of Ancient Rome. 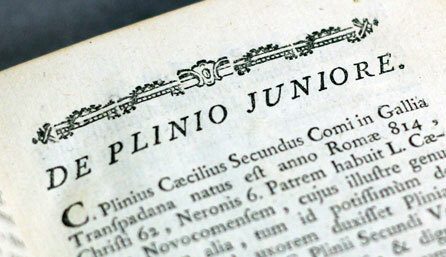 Pliny’s uncle, Pliny the Elder, helped raise and educate him. They were both witnesses to the eruption of Vesuvius on August 24, 79 AD. Pliny wrote hundreds of letters, many of which still survive, that are regarded as a historical source for the time period. Some are addressed to reigning emperors or to notables such as the historian Tacitus. Pliny served as an imperial magistrate under Trajan (reigned 98–117), and his letters to Trajan provide one of the only records we have of the relationship between the imperial office and provincial governors. Pliny was considered an honest and moderate man, consistent in his pursuit of suspected Christian members according to Roman law. He rose through a series of Imperial civil and military offices, the cursus honorum. He was a friend of the historian Tacitus and employed the biographer Suetonius in his staff. Pliny also came into contact with other well-known men of the period, including the philosophers Artemidorus and Euphrates during his time in Syria.